Mandaeism or Mandaeanism (Modern Mandaic: Mandaʻiūtā‎ (מנדעיותא); Arabic: مندائية‎ Mandāʼīyah/Mandāʾiyyah) is a gnostic religion. (Aramaic manda means "knowledge," as does Greek gnosis) with a strongly dualistic worldview. Its adherents, the Mandaeans, revere Adam, Abel, Seth, Enosh, Noah, Shem, Aram and especially John the Baptist, but reject Abraham, Moses and Jesus of Nazareth. According to most scholars, Mandaeans migrated from the Southern Levant to Mesopotamia in the first centuries CE, and are of pre-Arab and pre-Islamic origin. They are Semites and speak a dialect of Eastern Aramaic known as Mandaic. They may well be related to the "Nabateans of Iraq" who were pagan, Aramaic-speaking indigenous pre-Arab and pre-Islamic inhabitants of southern Iraq. 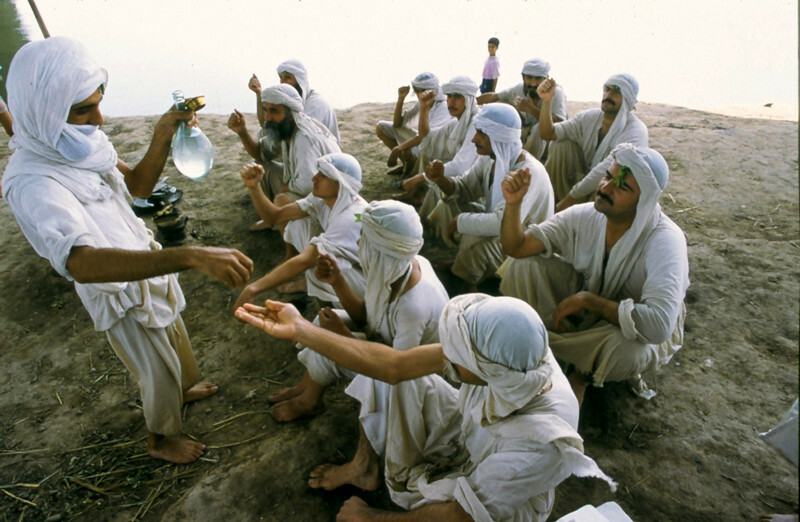 Mandaeans appear to have settled in northern Mesopotamia, but the religion has been practised primarily around the lower Karun, Euphrates and Tigris and the rivers that surround the Shatt-al-Arab waterway, part of southern Iraq and Khuzestan Province in Iran. 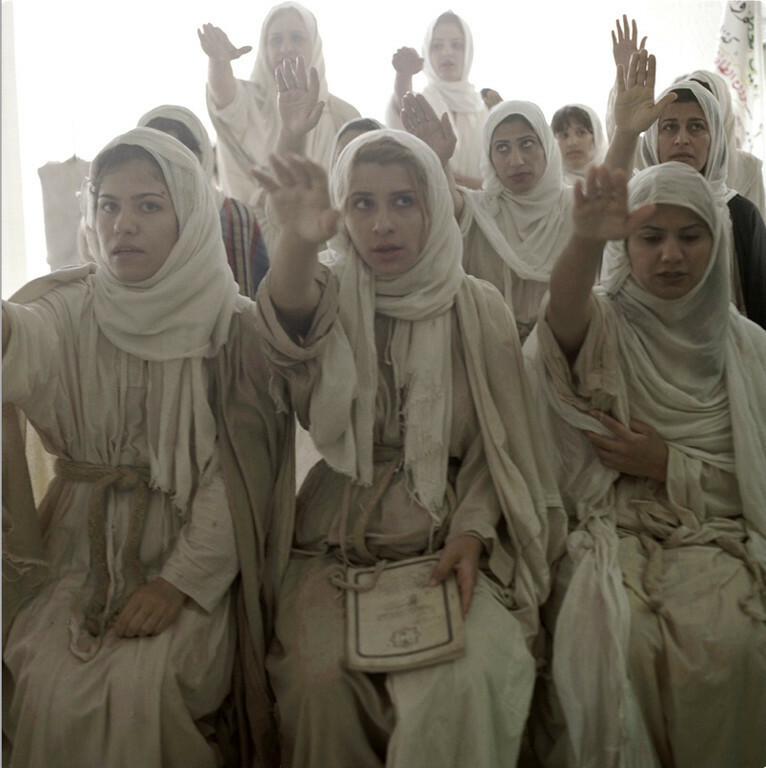 There are thought to be between 60,000 and 70,000 Mandaeans worldwide. Until the 2003 Iraq war, almost all of them lived in Iraq. 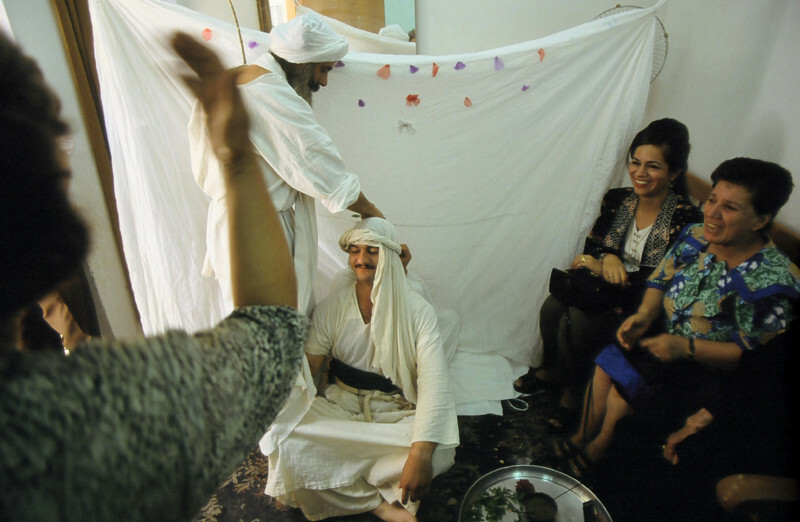 Many Mandaean Iraqis have since fled their country (as have many other Iraqis) because of the turmoil created by the War on Terror and subsequent rise in sectarian violence by Muslim extremists. 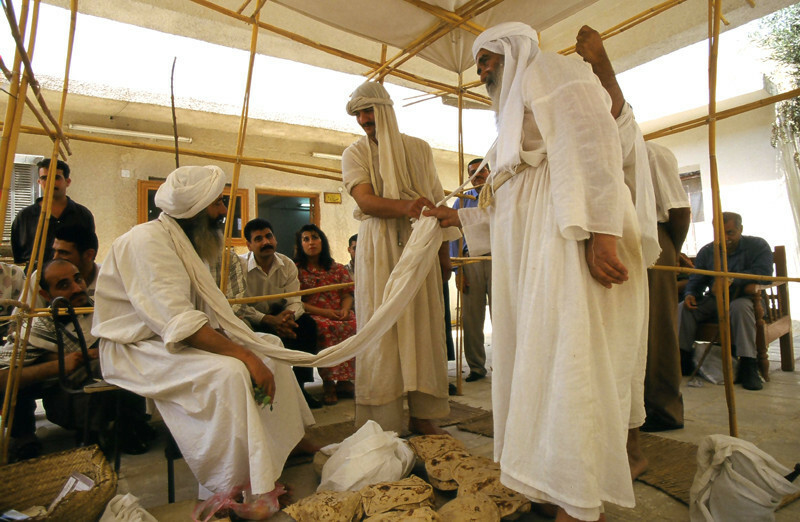 By 2007, the population of Mandaeans in Iraq had fallen to approximately 5,000. 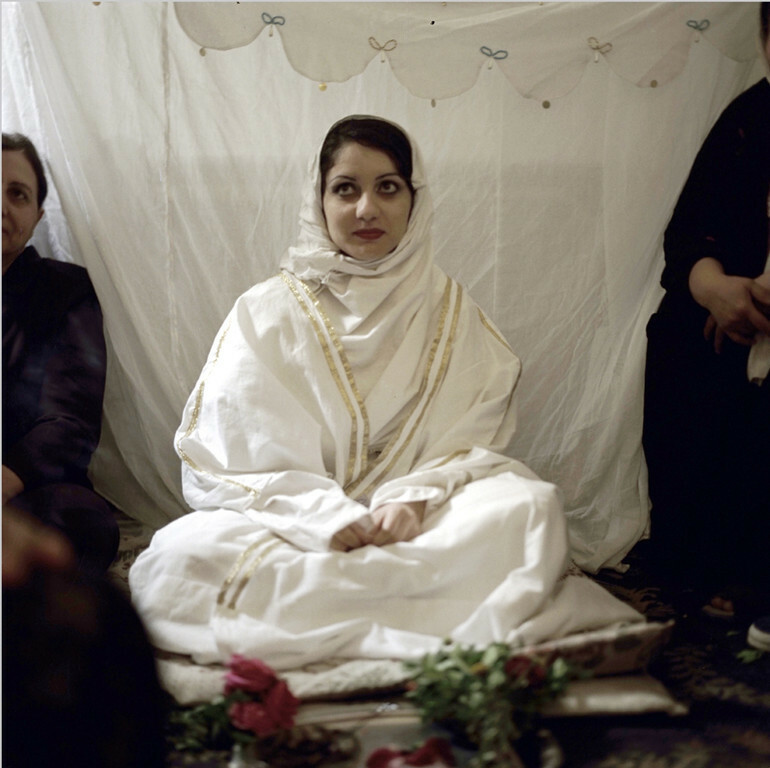 Most Mandaean Iraqis have sought refuge in Iran, with fellow Mandaeans there. Others have moved to northern Iraq. There has been a much smaller influx into Syria and Jordan, with smaller populations in Sweden, Australia, the United States and other Western countries. The term Mandaeism comes from Classical Mandaic Mandaiia and appears in Neo-Mandaic as Mandeyānā. On the basis of cognates in other Aramaic dialects, Semiticists such as Mark Lidzbarski and Rudolf Macuch have translated the term manda, from which Mandaiia derives, as "knowledge" (cf. Aramaic מַנְדַּע mandaʻ in Dan. 2:21, 4:31, 33, 5:12; cf. Hebrew: מַדַּע‎ maddaʻ, with characteristic assimilation of /n/ to the following consonant, medial -nd- hence becoming -dd). This etymology suggests that the Mandaeans may well be the only sect surviving from late Antiquity to identify themselves explicitly as Gnostics. Other scholars derive the term mandaiia from Mandā d-Heyyi (Mandaic manda ḏ-hiia "Knowledge of Life," reference to the chief divinity hiia rbia "the Great Life") or from the word (bi)mandi:81:167 which is the cultic hut in which many Mandaean ceremonies are performed (such as the baptism, which is the central sacrament of Mandaean religious life). This last term is possibly to be derived from Pahlavi m’nd mānd ("house"). 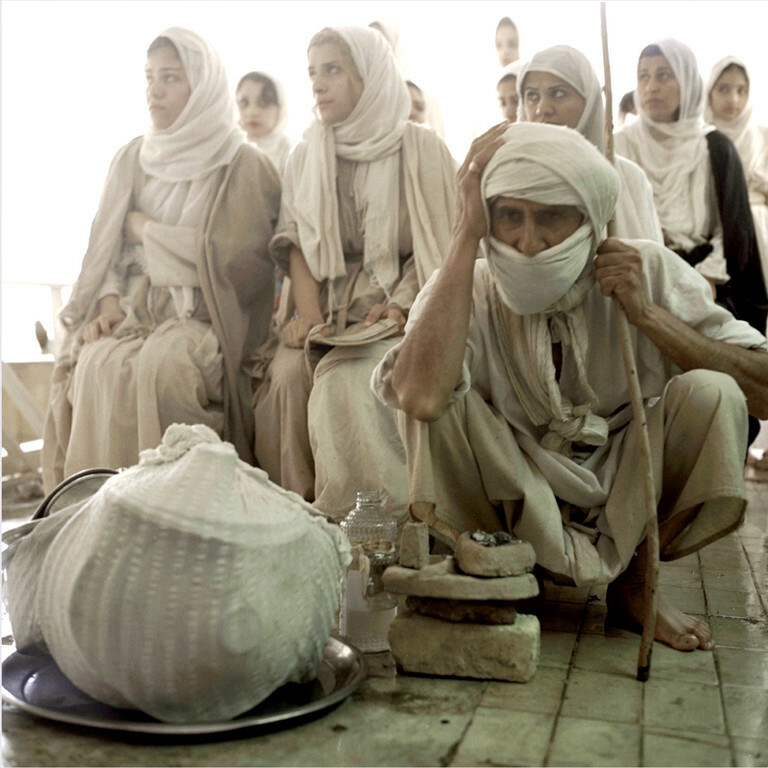 Within the Middle East, but outside of their community, the Mandaeans are more commonly known as the Ṣubba (singular: Ṣubbī). 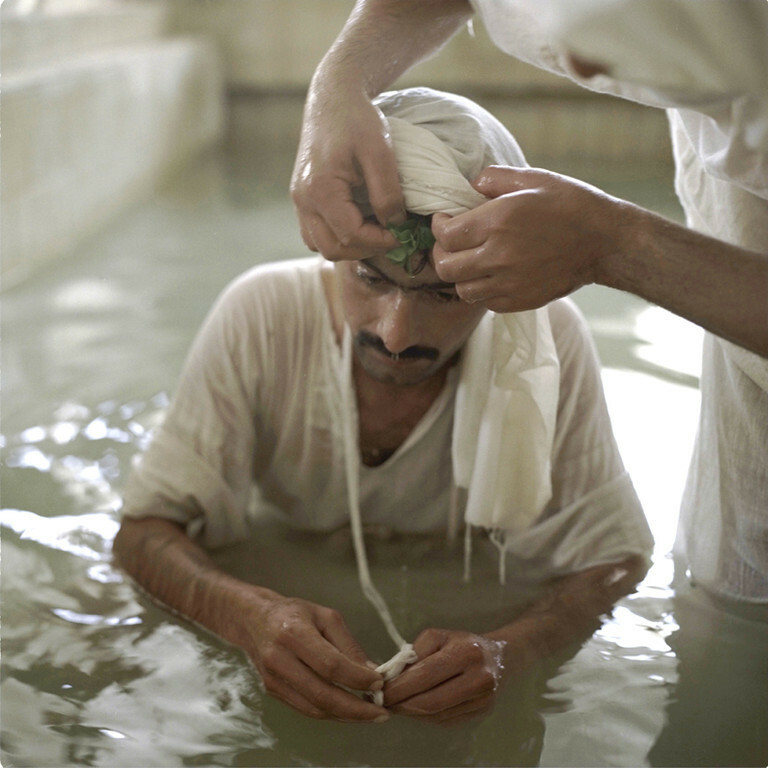 The term Ṣubba is derived from the Aramaic root related to baptism, the neo-Mandaic is Ṣabi. In Islam, the term "Sabians" (Arabic: الصابئون‎ al-Ṣābiʾūn) is used as a blanket term for adherents to a number of religions, including that of the Mandaeans, in reference to the Sabians of the Qur'an (see below). 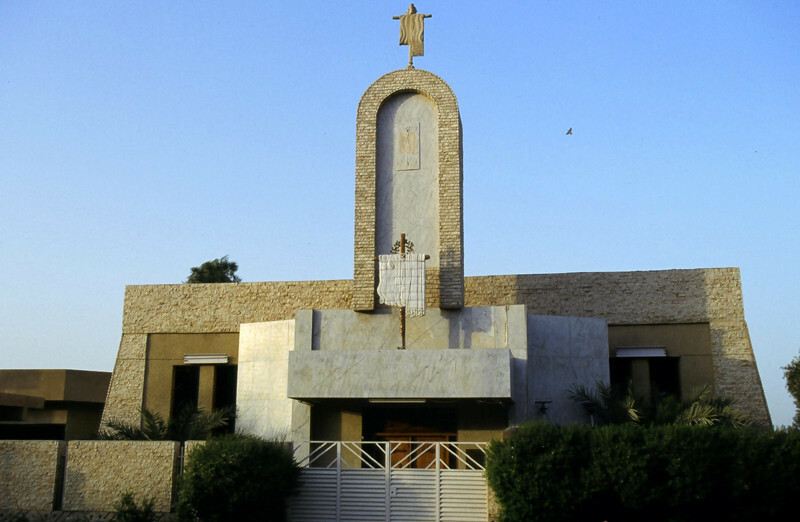 Occasionally, Mandaeans are called Christians of Saint John, based upon preliminary reports made by members of the Discalced Carmelites mission in Basra during the 16th century. A mandī (Arabic: مندى‎) is a place of worship for followers of Mandaeism. 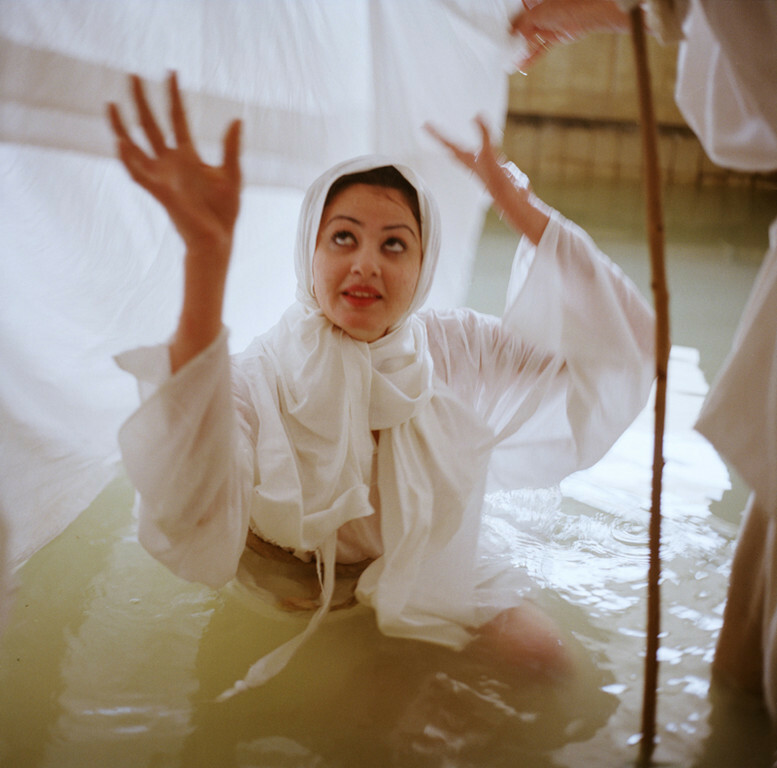 A mandī must be built beside a river in order to perform maṣbattah (baptism) because water is an essential element in the Mandaeic faith. Modern mandīs sometimes have a bath inside a building instead. 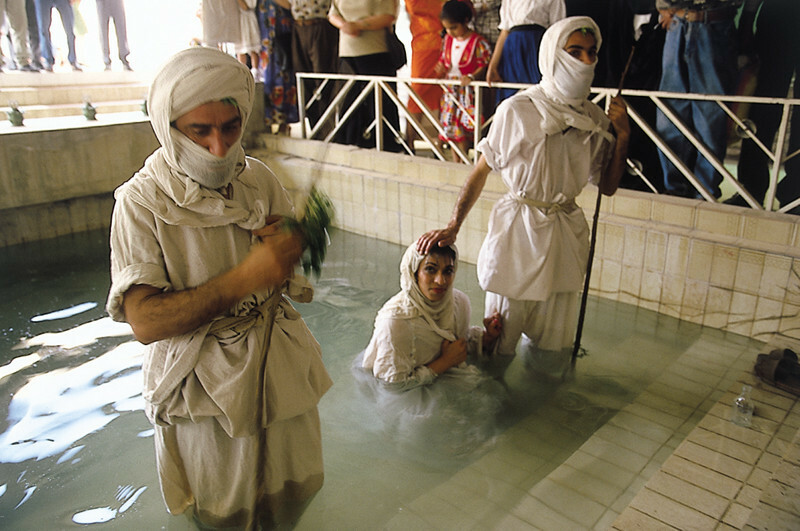 Outside of Mormonism, Mandeans are the only religion known to practice proxy baptisms. 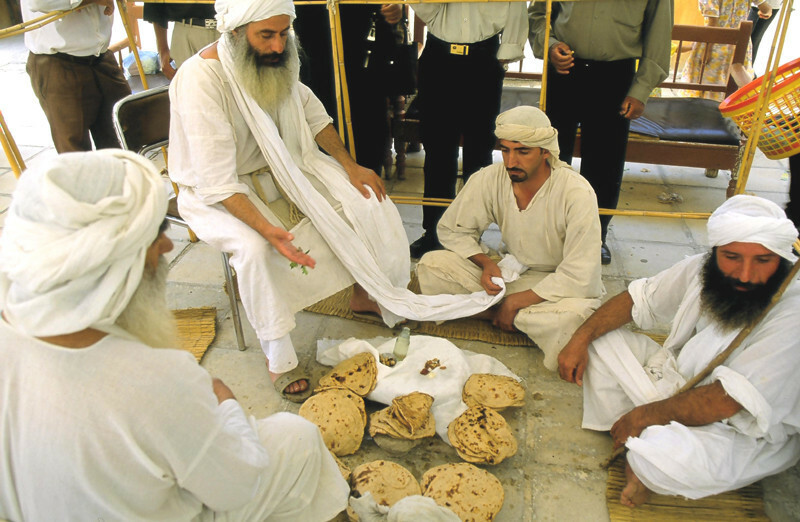 The evidence about Mandaean history has been almost entirely confined to some of the Mandaean religious literature. There is some suggestion made by some authors that Mandaeanism was formed post-Christianity as opposed to pre-Christianity, contrary to what the Mandaeans themselves claim. Arab sources of early Qur'anic times (7th century) make some references to Sabians. They are counted among the Ahl al-Kitāb (People of the Book), and several hadith feature them. 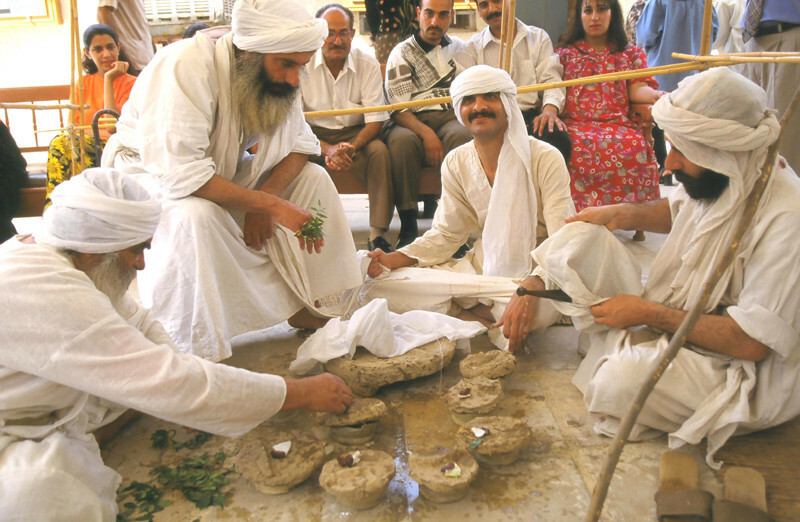 Some scholars hold that these Sabians are those currently referred to as Mandaeans, while others contend that the etymology of the root word 'Sabi'un' points to origins either in the Syriac or Mandaic word 'Sabian', and suggest that the Mandaean religion originated with Sabeans who came under the influence of early Hellenic Sabian missionaries, but preferred their own priesthood. The Sabians believed they "belong to the prophet Noah;" similarly, the Mandaeans claim direct descent from Noah. Early in the 9th century, a group in the northern Mesopotamian city of Harran declared themselves Sabians when facing persecution; an Assyrian Christian writer said that the true 'Sabians' or Sabba lived in the marshes of lower Iraq. The earliest account we have about the Mandaeans is that of the Assyrian writer Theodore Bar Konai (in the Scholion, AD 792). In the Fihrist ("Book of Nations") of Arabic scholar Al-Nadim (c. 987), the Mogtasilah (Mughtasila..., "self-ablutionists") are counted among the followers of El-Hasaih. Called a "sect" of "Sabians," they are located in southern Mesopotamia. 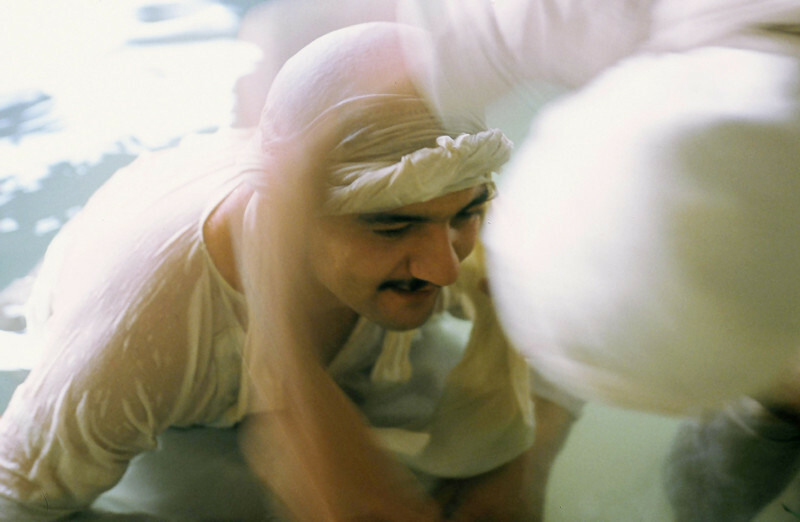 No verbatim reference to Mandaeans, which were a distinct group by then, seems to have been made by Al-Nadim; Mogtasilah was not that group's endonym, and the few details on rituals and habit are similar to Mandaeans ones. 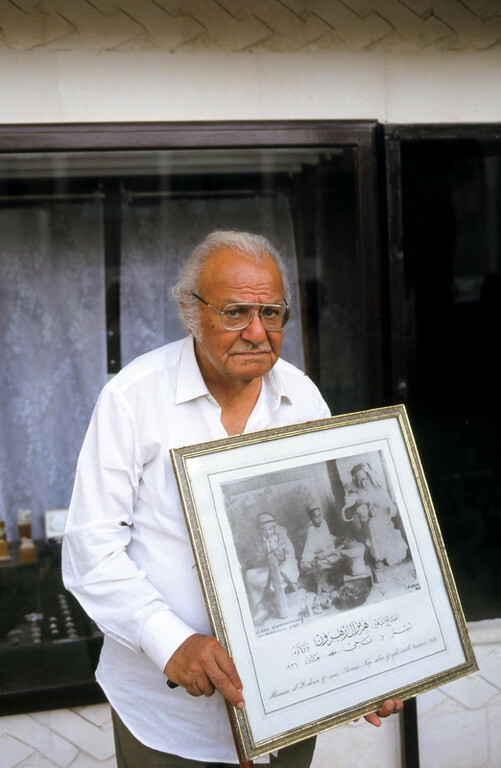 Mogtasilah may thus have been Al-Nadim's term for the Mandaeans, but they may just as well have been a related group which does not exist anymore today. Elchasai's religious community seems to have prospered for a while, but ultimately splintered. The Mandaeans may have originated in a schism where they renounced the Torah, while the mainstream Sampsaeans held on to it (as Elchasai's followers did)—if so, this must have happened around the mid-late 1st millennium AD. Al-Biruni (writing at the beginning of the 11th century AD) said that the 'real Sabians' were "the remnants of the Jewish tribes who remained in Babylonia when the other tribes left it for Jerusalem in the days of Cyrus and Artaxerxes. These remaining tribes...adopted a system mixed-up of Magism and Judaism." However, it is not clear exactly which group he referred to, for by then the Elchasaite sects may have been at their most diverse. Some disappeared subsequently; for example, the Sampsaeans are not well attested in later sources. The Ginza Rba, one of the chief holy scriptures of the Mandaeans, appears to originate around the time of Elchasai or somewhat thereafter (see below). Unfortunately, none of the Manichaean scriptures has survived in its entirety, and it seems that the remaining fragments have not been compared to the Ginza Rba. Some Portuguese Jesuits had met some "Saint John Christians" or Mandaeans around the Strait of Hormuz in 1559, when the Portuguese fleet fought with the Ottoman Turkish army in Bahrain. These Mandaean seemed to be willing to obey the Catholic Church. They learned and used the seven Catholic sacraments and the related ceremonies in their lives. 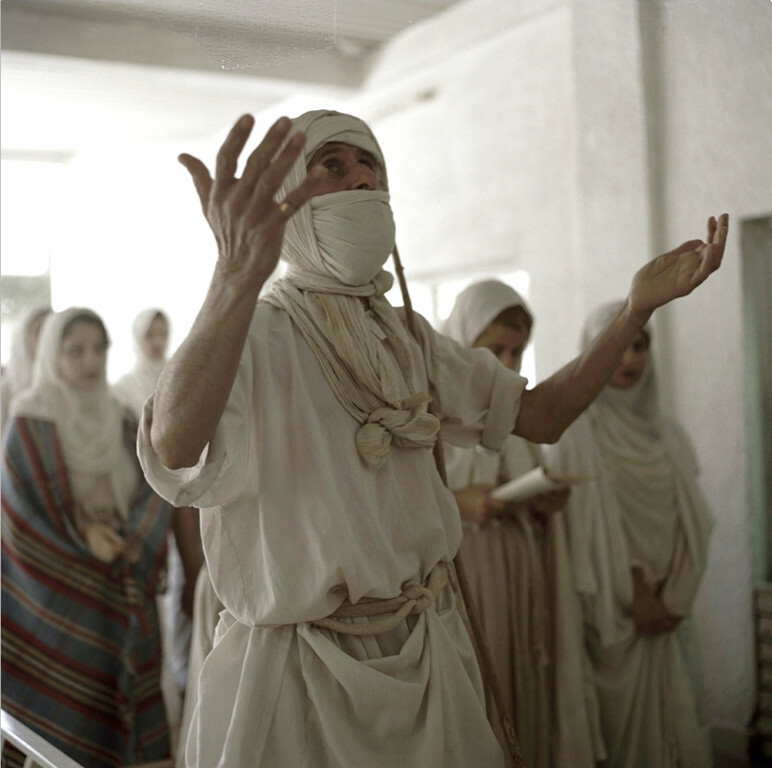 Mandaeism, as the religion of the Mandaean people, is based more on a common heritage than on any set of religious creeds and doctrines. A basic guide to Mandaean theology does not exist. The corpus of Mandaean literature, though quite large, covers topics such as eschatology, the knowledge of God and the afterlife—in an unsystematic manner. Moreover, it is known only to the priesthood and a few laypeople. • A supreme formless Entity, the expression of which in time and space is creation of spiritual, etheric, and material worlds and beings. Production of these is delegated by It to a creator or creators who originated in It. The cosmos is created by Archetypal Man, who produces it in similitude to his own shape. • Dualism: a cosmic Father and Mother, Light and Darkness, Right and Left, syzygy in cosmic and microcosmic form. • As a feature of this dualism, counter-types, a world of ideas. The soul is portrayed as an exile, a captive; its home and origin are the supreme Entity, to which the soul eventually returns. • Planets and stars influence fate and human beings, and are also places of detention after death. • A cult-language of symbol and metaphor. Ideas and qualities are personified. • 'Mysteries', i.e. sacraments to aid and purify the soul, to ensure rebirth into a spiritual body, and ascent from the world of matter. These are often adaptations of existing seasonal and traditional rites to which an esoteric interpretation is attached. In the case of the Naṣoreans this interpretation is based upon the Creation story, especially on the Divine Man, Adam, as crowned and anointed King-priest. • Great secrecy is enjoined upon initiates; full explanation being reserved for those considered able to understand and preserve the gnosis. 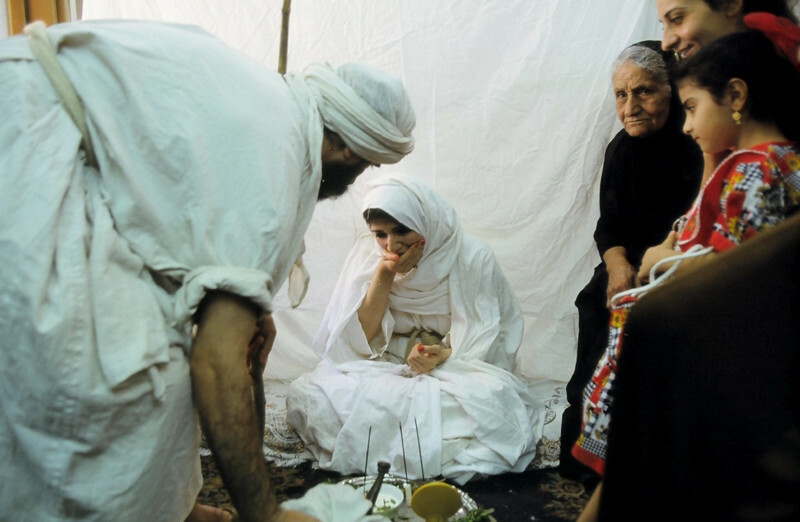 Mandaeans believe in marriage and procreation, and in the importance of leading an ethical and moral lifestyle in this world. They also place a high priority upon family life. 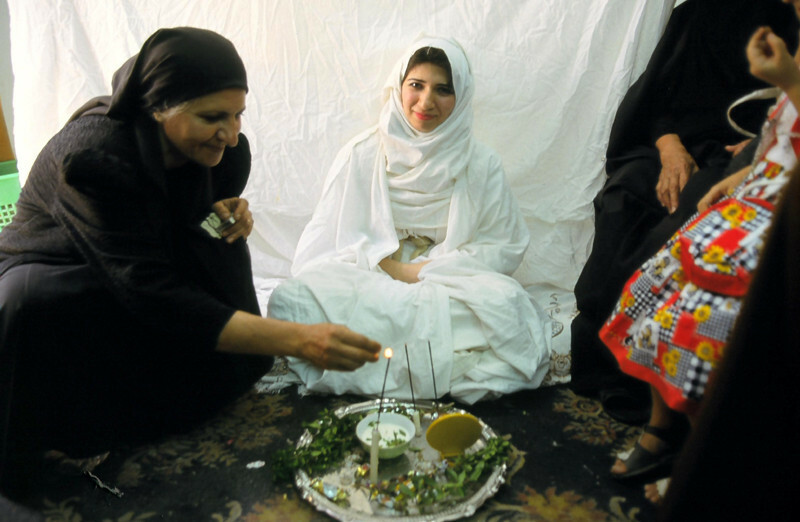 Consequently, Mandaeans do not practice celibacy or asceticism. Mandaeans will, however, abstain from strong drink and red meat. While they agree with other gnostic sects that the world is a prison governed by the planetary archons, they do not view it as a cruel and inhospitable one. 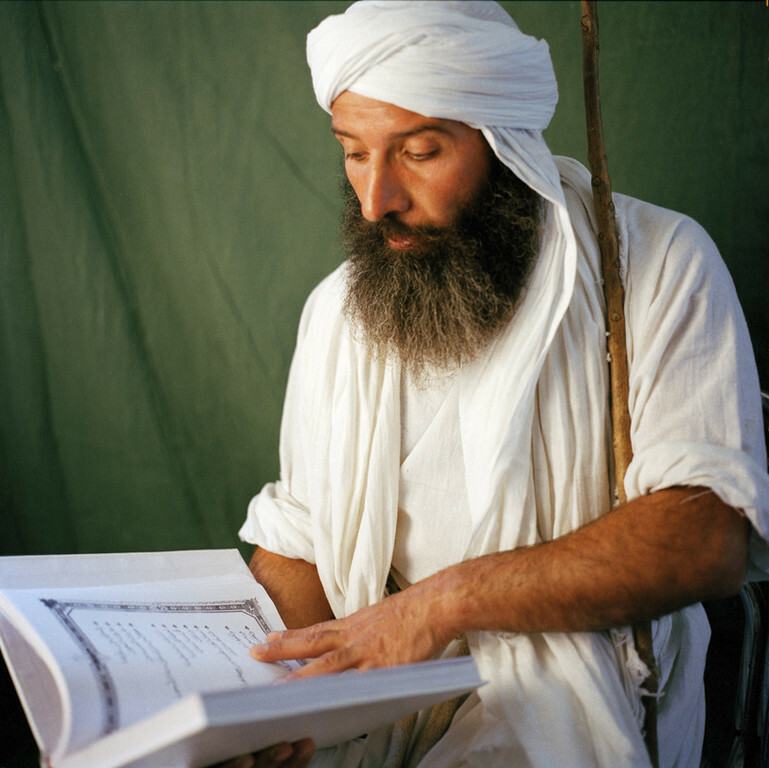 The Mandaeans have a large corpus of religious scriptures, the most important of which is the Genzā Rabbā or Ginza, a collection of history, theology, and prayers (German translation available here). The Genzā Rabbā is divided into two halves—the Genzā Smālā or "Left Ginza," and the Genzā Yeminā or "Right Ginza". By consulting the colophons in the Left Ginza, Jorunn J. Buckley has identified an uninterrupted chain of copyists to the late 2nd or early 3rd century AD. The colophons attest to the existence of the Mandaeans or their predecessors during the late Arsacid period at the very latest, a fact corroborated by the Harrān Gāwetā legend, which says that the Mandaeans left Judea after the destruction of Jerusalem in the 1st century CE, and settled within the Arsacid empire. Although the Ginza continued to evolve under the rule of the Sassanians and the Islamic empires, few textual traditions can lay claim to such extensive continuity. Other important books include the Qolastā, the "Canonical Prayerbook of the Mandaeans," which was translated by E. S. Drower (much of it is found here) and here. 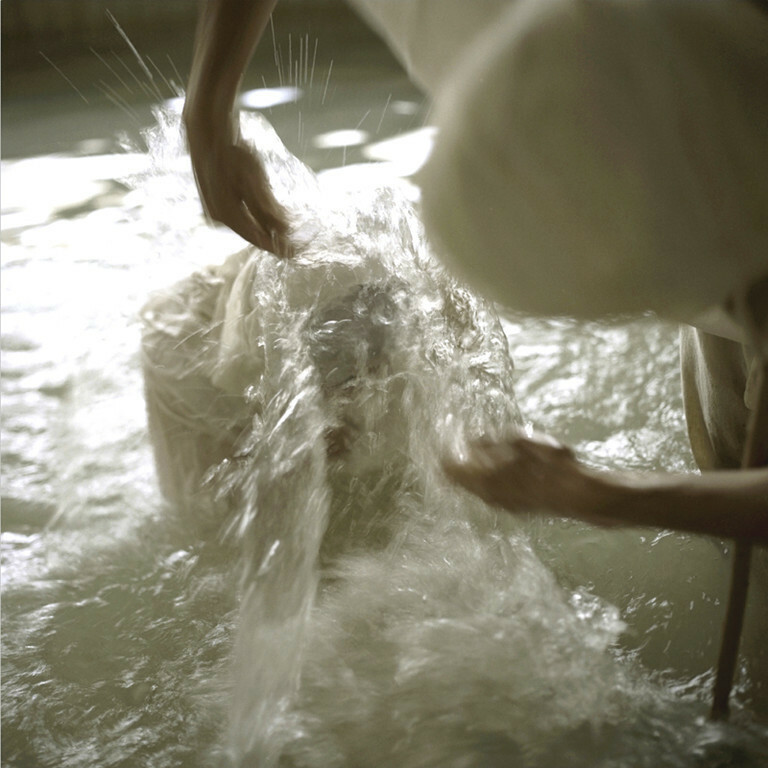 One of the chief works of Mandaean scripture, accessible to laymen and initiates alike, is the Draša D-Iahia "The Book of John the Baptist" (text; German translation), which includes a dialogue between John and Jesus. In addition to the Ginza, Qolusta, and Draša, there is the Dīvān, which contains a description of the 'regions' the soul ascends through, and the Asfar Malwāshē, the "Book of the Zodiacal Constellations." Finally, there are some pre-Muslim artifacts which contain Mandaean writings and inscriptions, such as some Aramaic incantation bowls. 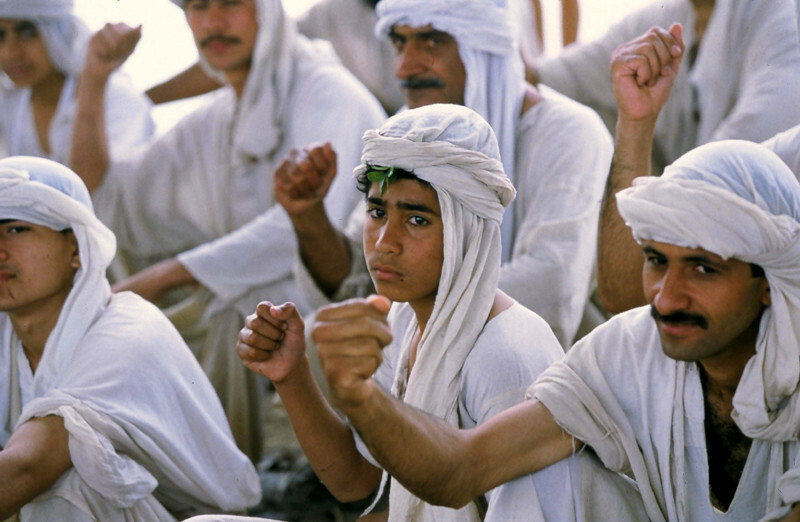 The language in which the Mandaean religious literature was originally composed is known as Mandaic, and is a member of the Aramaic family of dialects. It is written in a cursive variant of the Parthian chancellory script. Many Mandaean lay people do not speak this language, though some members of the Mandaean community resident in Iran and Iraq continue to speak Neo-Mandaic, a modern version of this language. As noted above (under Mandaean Beliefs) Mandaean theology is not systematic. There is no one single authoritative account of the creation of the cosmos, but rather a series of several accounts. Some scholars, such as Edmondo Lupieri maintain that comparison of these different accounts may reveal the diverse religious influences upon which the Mandaeans have drawn and the ways in which the Mandaean religion has evolved over time. In contrast with the religious texts of the western Gnostic sects formerly found in Syria and Egypt, the earliest Mandaean religious texts suggest a more strictly dualistic theology, typical of other Iranian religions such as Zoroastrianism, Zurvanism, Manichaeism, and the teachings of Mazdak. In these texts, instead of a large pleroma, there is a discrete division between light and darkness. The ruler of darkness is called Ptahil (similar to the Gnostic Demiurge), and the originator of the light (i.e. God) is only known as "the great first Life from the worlds of light, the sublime one that stands above all works." When this being emanated, other spiritual beings became increasingly corrupted, and they and their ruler Ptahil created our world. The name Ptahil is suggestive of the Egyptian Ptah—the Mandaeans believe that they were resident in Egypt for a while—joined to the semitic El, meaning "god." The issue is further complicated by the fact that Ptahil alone does not constitute the demiurge but only fills that role insofar as he is the creator of our world. Rather, Ptahil is the lowest of a group of three "demiurgic" beings, the other two being Yushamin (a.k.a. Joshamin) and Abathur. Abathur's demiurgic role consists of his sitting in judgment upon the souls of mortals. The role of Yushamin, the senior being, is more obscure; wanting to create a world of his own, he was severely punished for opposing the King of Light. Lupieri observes that he is generally considered a positive figure nevertheless. The name may derive from Iao haš-šammayim (in Hebrew: Yahweh "of the heavens"). 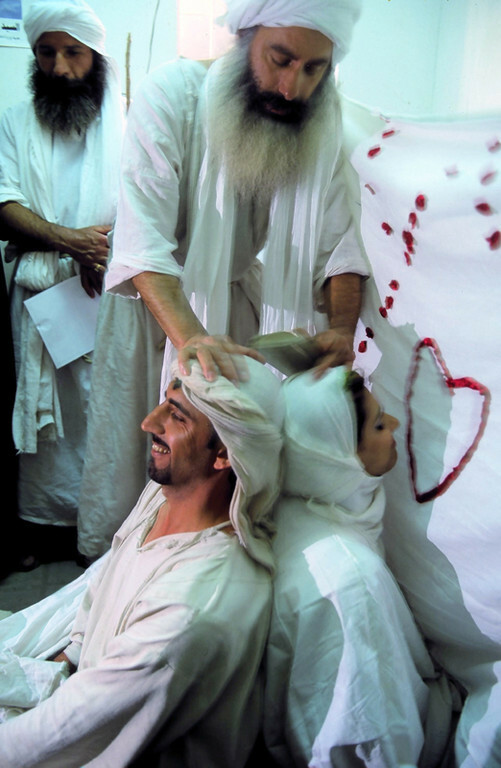 Mandaeans recognize several prophets. Yahya ibn Zakariyya, known by Christians as John the Baptist, is accorded a special status, higher than his role in Christianity and Islam. Mandaeans do not consider John to be the founder of their religion but revere him as one of their greatest teachers, tracing their beliefs back to Adam. 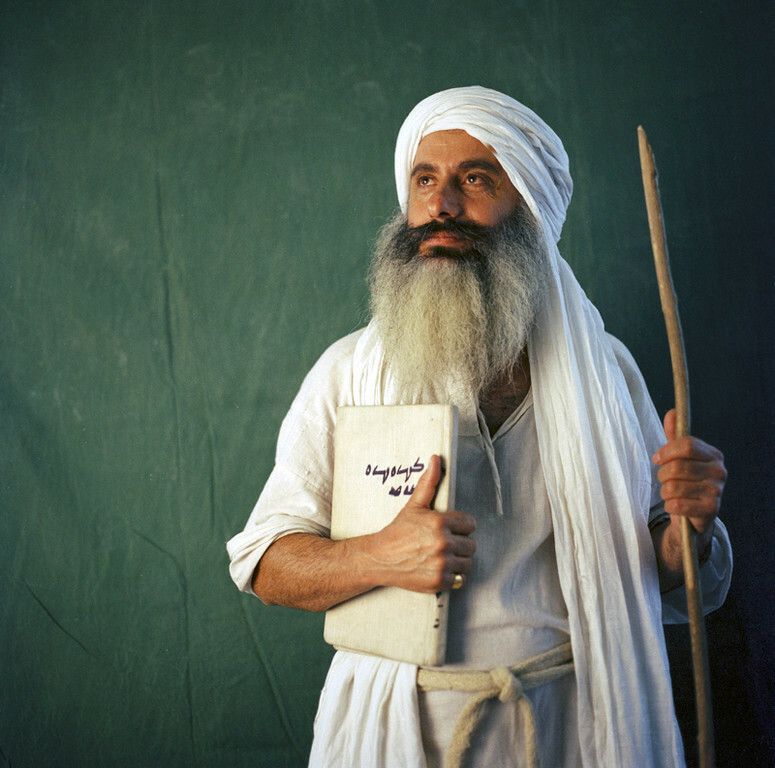 Mandaeans maintain that Jesus was a mšiha kdaba "false messiah" who perverted the teachings entrusted to him by John. The Mandaic word k(a)daba, however, might be interpreted as being derived from either of two roots: the first root, meaning "to lie," is the one traditionally ascribed to Jesus; the second, meaning "to write," might provide a second meaning, that of "book;" hence some Mandaeans, motivated perhaps by an ecumenical spirit, maintain that Jesus was not a "lying Messiah" but a "book Messiah," the "book" in question presumably being the Christian Gospels. This seems to be a folk etymology without support in the Mandaean texts. 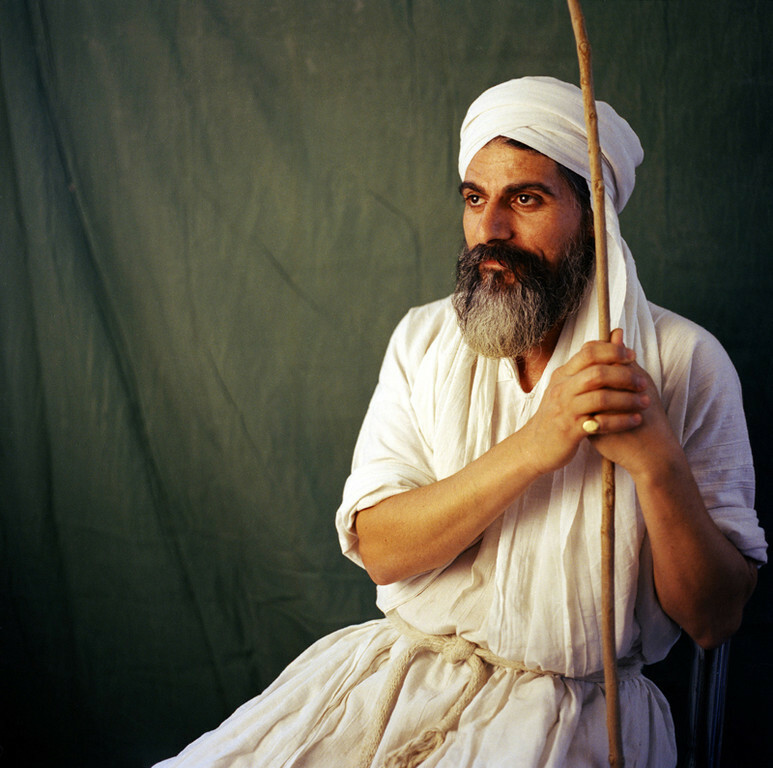 Likewise, the Mandaeans believe that Abraham and Moses were false prophets but recognize other prophetic figures from the Abrahamic traditions, such as Adam, his sons Hibil (Abel) and Šitil (Seth), and his grandson Anuš (Enosh), as well as Nuh (Noah), his son Sam (Shem) and his son Ram (Aram). The latter three they consider to be their direct ancestors. 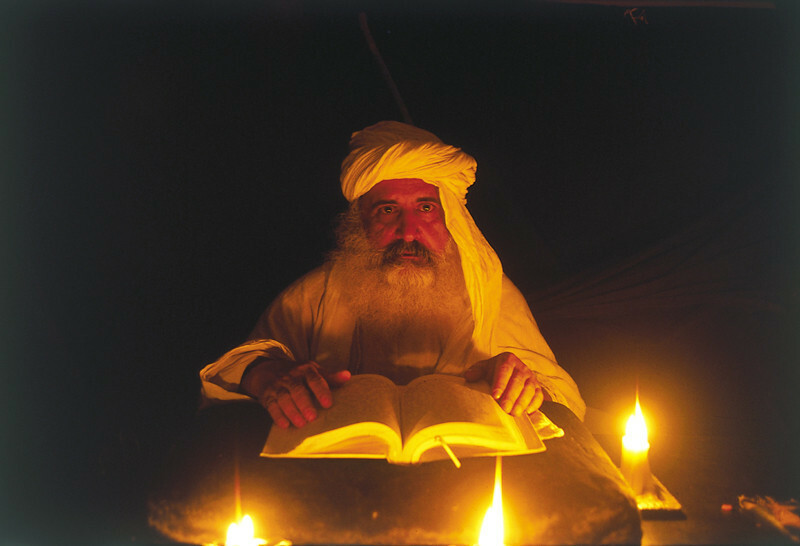 Mandaeans consider the holy spirit that is known as Ruha d-Qudsha in the Talmud and Bible to be an evil being.